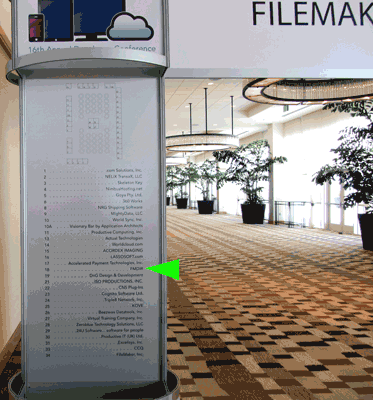 Last modified February 24 2016, 19:25:04 MET. 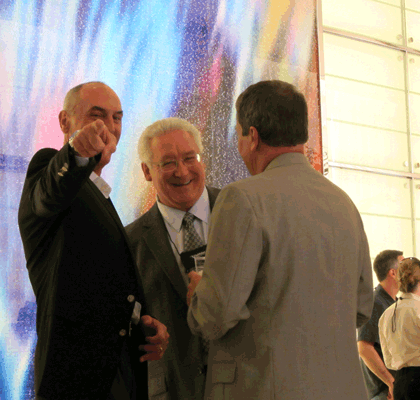 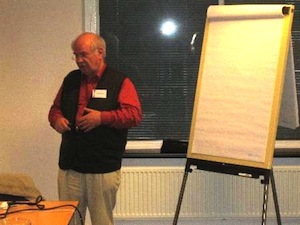 Bill Epling has spotted me. 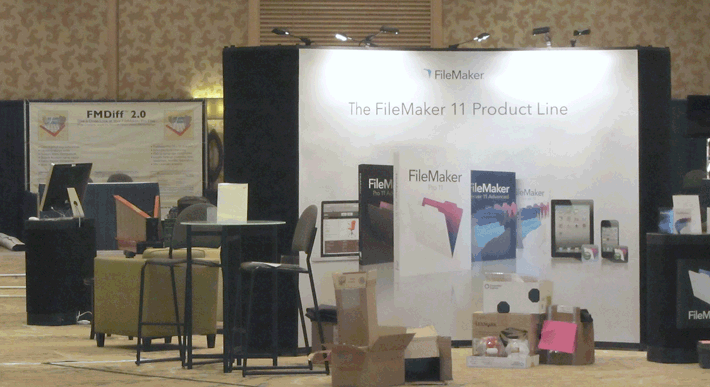 FileMaker booth: work in progress. 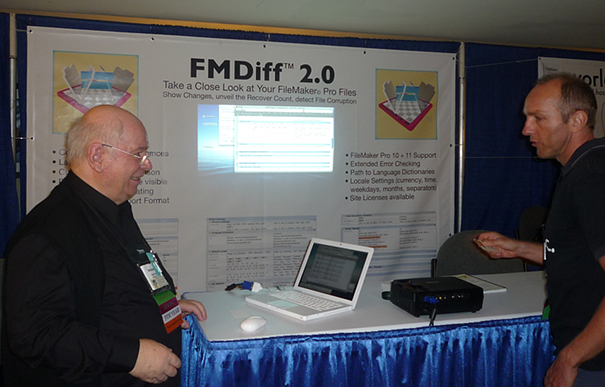 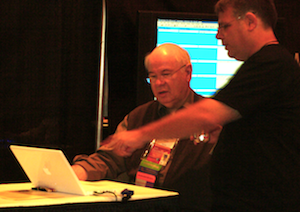 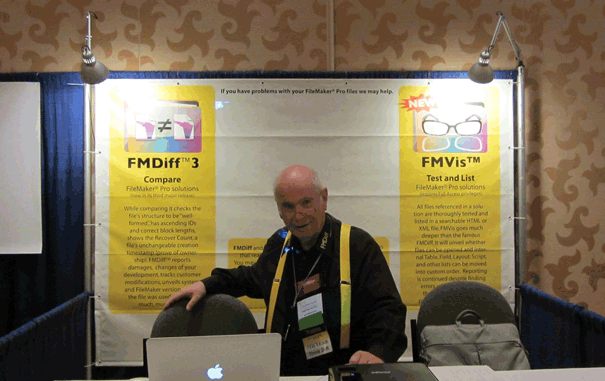 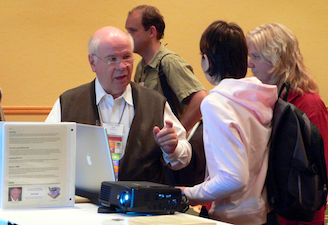 Left: Special demonstration for Jeff Benjamin (FileMaker, Inc.) at the FMDiff booth. 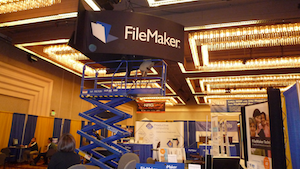 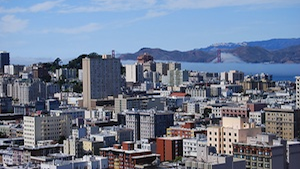 Winfried Huslik explained the FileMaker file structure and how FMDiff can be utilized to compare files and folders of a solution, as well as to detect file corruption. 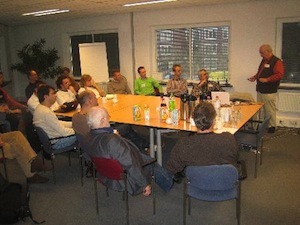 After the presentation more than half of the participants ordered FMDiff.